Symptoms appeared towards the end of Puerto Rico posting. 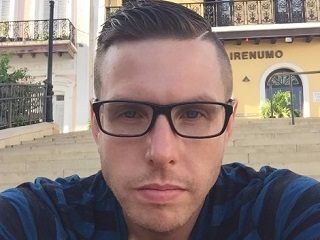 ‘Better now, but it sure took its time.’ That’s how Nick Brown (pictured), the San Juan, Puerto Rico bureau chief for Reuters, replied to one well-wisher on Twitter today in the wake of his piece about contracting the Zika virus. A visit to Dr. Kevin Wallace at Murray Hill Medical Group and a sample sent to the New York City Health Department soon confirmed mom’s worst fears. Brown’s wife, a lawyer and publishing professional, has remained in Brooklyn during her husband’s one-year posting to Puerto Rico. But as he writes, the Zika episode led her to cancel a planned long-weekend visit to Puerto Rico, meeting Brown in Florida instead. The journalist also agreed to take part in a CDC study related to the disease, receiving test kits every two weeks via FedEx.